A fter six days of scintillating action in the Crown Poker Room, the 2017 Aussie Millions Main Event final table is set with just seven of the 725-strong field still in contention for the AUD$1.6 million (~$1.2 million USD) first prize. Leading the way is Australian Shurane Vijayaram who steamrolled the Day 4 field and begins play tomorrow (12:30 pm local time) with 7,470,000 in chips, more than double that of his closest rival, British pro Ben Heath, who has 3,270,000. 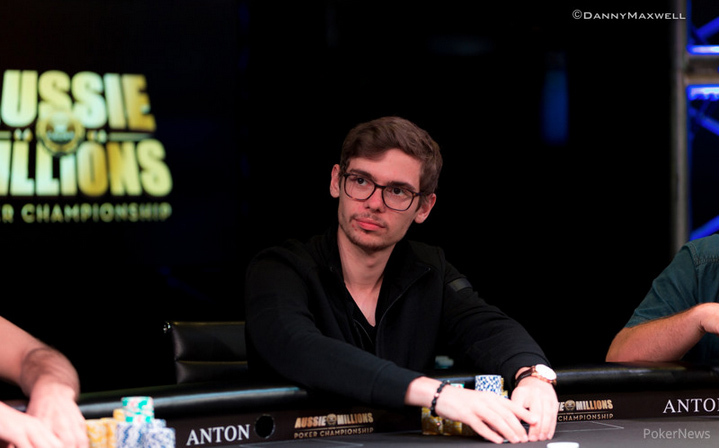 Joining Vijayaram and Heath on the final table will be German superstar Fedor Holz (pictured) who has already amassed $20m+ in live winnings and won AUD$352,800 a few days ago for his third place finish in the ANTON Jewellery $100,000 Challenge. Holz will begin the final table as the short stack with 1,165,000. Also still in is well-known Australian pro Jeff Rossiter, who finished third in this event back in 2011 for AUD$700,000, and Germany’s Tobias Hausen.